A gorgeous heart-shaped, pave set with sparkling cubic zirconia in the arrangement of a flower. Crafted from sterling silver and finished with a cut-out back of hearts and shapes, this is a classic piece of jewellery with a quirky and stylish edge of distinction. The perfect gift for a special occasion. 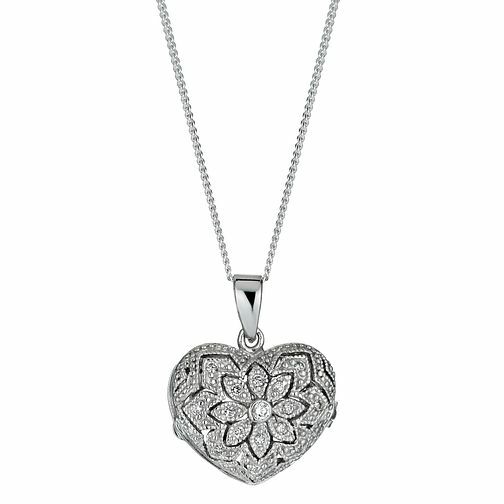 Sterling Silver Pave Cubic Zirconia Heart Locket Necklace is rated 4.5 out of 5 by 2.